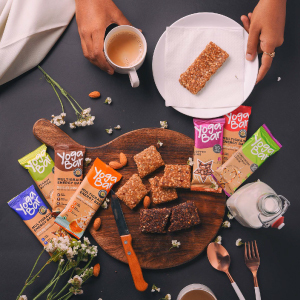 Amazon's Choice for "protein bars sugar free"
Sold by Yogabar (4.7 out of 5 | 735 ratings) and Fulfilled by Amazon. Gift-wrap available. Sold by Yogabar and ships from Amazon Fulfillment. Sold by MojoBar and ships from Amazon Fulfillment. 3.0 out of 5 starsSomething fishy with the manufacturing date.. The manufacturing date of the pack I got is just the day before my date of purchase. This is really suspicious. 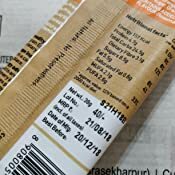 Above all, the manufacturing dates on the box and the individual packs are not the same. I am not sure how trustworthy this company is, but they are surely playing around with the manufacturing and expiry dates. 4.0 out of 5 starsGood snack bar but.. I found a yoga bar with fungus growing inside(which was a fresh batch). I bought that offline. It probably happened as they don't contain preservatives. It's put me off them for now. They are yum(mostly subtle flavors) considering all the ingredients are supposed to be healthy. 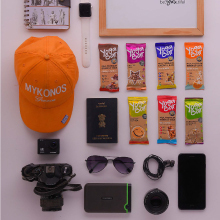 Handy to keep it in purse for a quick snack when you're on the move.. found this to be much much better than bars from other brands (for example: unibic is too sweet and can feel the effect of sugar in it).. it got shipped directly from manufacturer I think. Recieved super fresh stock which was made just few days before I ordered. Good delivery. In the mixed pack,I got : chocolate chunk nut, almond vanilla, cashew orange, nuts and seeds.. all are pretty good. To be Honest , I felt The taste Of Bar is Average . Little bit Greezy. 4* out of 5 for Taste. But there are some super Advantage of this Protein bar which made me Happy. Most Vital Point : Gluten Free bar with Transfat Free . If You Ingore The Taste Of these Bars , These bars are Clearly a winner . For My Personal Point of Veiw : Most valuable Flavor : Cranberry followed by chocolate Brownie and least is Almond Fudge. One of the Best Evening Snacks if you are Doing Work outs. I will also Suggest For People who travels alot, This will be a Helpful Product. 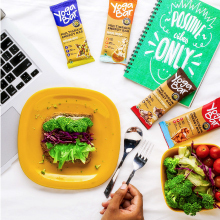 NATURAL ,No preservatives , No artificial Flavors. A perfect Evening Snacks after Workout . The Only thing I am little not Satisfied is TASTE. It cost 114 INR . I was Expecting a little Higer . The Bar is little bit Oily/Greezy type. Thats the Reason i gave 4* . If You Ingore the Taste , This Bars Stand out to be worthy . A Healthous Never Choose For Taste. They Search for Proper Diet with proper Protein and Fiber. And especially Gluten Free. So this Product is 5* for them. If you are a fitness Freak , This Product is perfectly suitable. As Taste Won't matter, for Perfect Diet Balance people with Sufficient Fiber and Protein , this would be a Perfect Snacks. As Travelers , This would Help in emergency . Always keep 2 bars . It will surely Help you. This can be a perfect Gift For small kids Who are fond of chocolates. A perfect Gift in this Valentine. This is much more Healthy and Natural than other chocolates. VALUE FOR MONEY 💰 -4*. As a person who loves to snack on nuts and seeds, I found this a really suitable evening snack. The quantity is just right so that you don't feel hungry again in a short time nor do you feel too full and have issue having a proper dinner later on. The bar is really dense with ingredients. I liked the taste of honey and coconut oil but some people who are not used to coconut oil may not like it so much. Intending to try more varieties that have been brought out by the company. 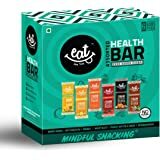 Packed with goodness of nuts and seeds these bars can satiate your hunger for long, at the same time these are tasty, healthy and all natural. I was actively searching for some Protein bar that I can chew upon as snack in the evening after my workout session. But alas, many of them conatins corn startch, additives, fortified vitamins and other chemical additives and preservatives. Thus making them a complete no-no for me as I wanted a product which should be made with completely natural ingredient and not a chemical compound. 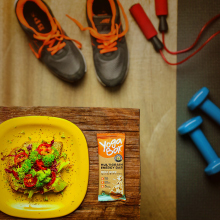 Then I founded this Yogabars Multigrain Energy Bars Nuts and Seeds. Each of the bar was labeled as 100% natural ingredient. 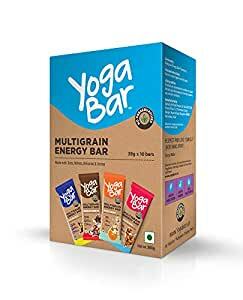 I decided to give it a try and since then I have become a fan of these yoga bars. 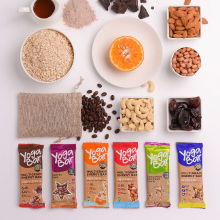 Taste of Yogabars Multigrain Energy Bars Nuts and Seeds is good not like other cardboard tasting bars. This is the first bar that has some great flavour. 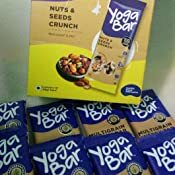 Yogabars Multigrain Energy Bars Nuts and Seeds comes in 38g poly packs with only 169Kcal. 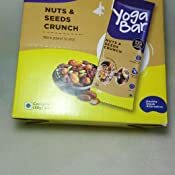 If you are looking for Multigrain Energy bar that I highly recommend this Yogabars Multigrain Energy Bars Nuts and Seeds. 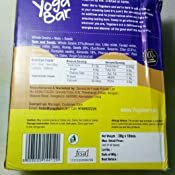 I'm using this Yoga Bars for over 2 weeks now and I'm in love with this product. These are made from Oats, nuts and many more ingredients. You can clearly see the ingredients when you snap the bar in two. 2) They are not sweet and majority of flavour is from Oats, etc. 3) Yoga Bars are soft and you should eat only 1/4th at one time. I gave my mom few bars to eat and she really liked it. She is now eating it daily morning.